Thanks for the mention, Linda. I REALLY enjoyed watching your llama video! 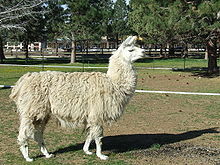 I don't think I have ever seen a video of llamas, only pictures. 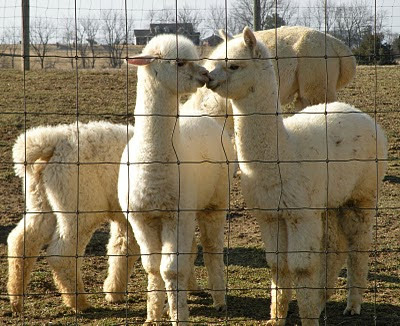 They do look much more like camels than alpacas do! Even their faces. It cracked me up that they were given pancakes for lunch after the hike! And the guide who actually threw rocks at the bear!! I don't know if that was a wise thing to do. I can't wait till you go and will look forward to the pictures. You must be very fit to do something like this. Ginny -- I'll just say no comment about how fit I am now. The most recent Le Conte hike was quite a while back. But the good thing is that I do have between now and July to work on the ole legs -- and knees! So maybe a Le Conte hike is in my future. . . or maybe just an amble up an easy trail from our campsite. I loved the llama video! I was so entertained that I watched it twice! Wow, I'll bet that llama wrangler is in fantastic shape--and who knew that llamas liked pancakes?! You sound a lot more physically active than me. Hiking up my gentle Shropshire Hills is about as far as I can get. Great video and I think that will have to do it for me. These old legs aren't so good at hiking anymore. the view from the top must be amazing. Sitting in the rocking chairs at the top is the perfect reward. Your summer reunion sounds fabulous.